As you can see, the room had basically become a dumping ground. I kept the door shut most of the time and I would have been horrified for a guest to see the room let alone stay in it. And now? Ahh, so much better. The challenge was 1) Finding a new "home" for the extra stuff in the room; and 2) Organizing what was staying in the room to make it attractive and functional. It was so easy and inexpensive, and now I can actually see what I own. That in itself is priceless. 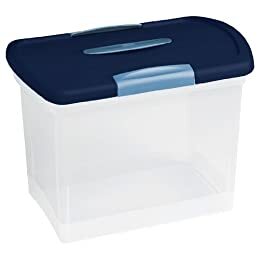 I also bought 4 plastic containers at Walmart for $1.50 each to organize sewing supplies, craft supplies and ribbon (who knew I owned so much ribbon?!). Inside each container I sorted different items into Ziploc baggies to make them easy to find. No more digging for a sewing needle in a haystack of...misc sewing...stuff. And if you take a look at the really awful picture below, you'll see the filing cabinet I was able to score from an office that was giving it away for FREE! Oh, and if I'd been really on top of things I would have sorted all of my paint fan decks and cards into fancy containers...but at least they're all in one handy place. Now out of the closet and back to the "pretty" stuff. I placed my Mom's old sewing machine (which I heart) on her childhood desk. I can't wait to start sewing like a mad woman! The desk doubles at a nightstand by the bed, and the cute little clock is also an alarm clock, which is very handy for guests. I also added a shade I already owned to a lamp by the bed (a must for guests). Finally, here's a photo of the dresser in the room. I've left a few drawers empty for guests, but use the others for some of my off season clothes. I also made sure there's a mirror handy in the room. It not only reflects light, but it's a thoughtful touch for guests...so they don't have to walk out into the house in the morning with their hair looking like a bird's nest. Know what I mean? The best part about this organization makeover? It cost next to nothing. I literally spent $16, and that was for the closet organizers. Everything else was repurposed from other places in the house. And honestly, just getting rid of the junk and creating a clean, uncluttered space was enough to make for an inviting room. Now it's your turn. Link up below. I'll post party highlights on Wednesday! Thanks for participating! Hi everyone! I hope you're having a wonderful weekend. I just wanted to remind you about the Organization for LUFFs (Lazy, Uninspired, Frugal Folks) party that will begin at 9pm (CST) tonight. That gives you approximately 9 hours and 14 minutes to put the final touches on your organization project....or to pull an old one from your archives. Any organization project will do. I'm just looking forward to sharing organization ideas with one another. I'll also reveal my finished multi-purpose guest room. 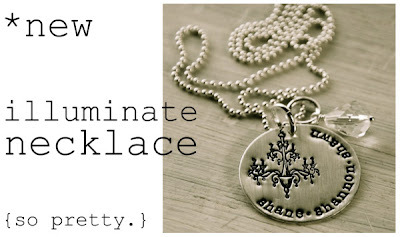 Now back to talking about organizing (please keep reading)…. I love the fact that I have a guest room, but I hate the idea of an entire room in our house being useless to us 99% of the time (for some reason people aren’t racing to the airport to visit us in Oklahoma…go figure…are you reading this Mom? Aunt Shelley? Jake Gylennhaal?…What? He’s cute). As I’ve shown you before, our useless room found its own calling as a dumping ground for all the extra stuff we weren’t sure what to do with. I managed to clear most of that out, but was then faced with the question of defining what I actually want this room to be. About a year ago I played with the idea of finding an inexpensive futon or sofa sleeper and using the room as a “game room” for my son and his friends. His friends all had them, and I thought it would be fun for my son to have one too. Then I realized that idea would also require a new tv, new gaming equipment, etc, etc and I decided his friends could have their game rooms – no need to try to keep up with the Jones’s there. WHAT DO YOU NEED TO MEET THOSE FUNCTIONS? A Bed (duh) and Clean, Comfortable Bedding. There’s nothing worse than sleeping on old, stained hand me down sheets from 1982. A $20 sheet set from Walmart is better than that…just sayin’. A Lamp by the Bed: It’s nice to allow your guests the comfort of reading before they go to bed without having to get up and turn the lights off…and risk breaking their neck. A Nightstand: Someplace to set a book and a glass of water on. An Alarm Clock: Yes, most people have cell phones with alarm clocks now, but it’s nice to be able to see what time it is without fumbling for your phone. A Mirror: Do you want to walk out into a house full of people in the morning without checking yourself in the mirror first? Yeah, me neither :-). Clothes Storage: Yes, I keep off season clothes in the guest closet too, but make sure there’s enough room (and extra hangers) for guests to hang their own clothes. I also have a dresser in the room that has 2 drawers empty just for guest’s clothes (I use the other drawers for my own stuff). Attractively Organized Bookcases: Some people wrap their books in white paper or craft paper and then write the titles on the spines. That’s a lovely alternative, but I prefer to just organize my books by subject/size and mix in a few decorative objects and baskets. Functional and Concealed File Boxes or File Cabinet: I talked about this Tuesday, but try placing the file cabinet or file boxes in the closet (if there’s room). If not, maybe a file cabinet could double as a nightstand. Throw some nice fabric over it, put a lamp and alarm clock on top and no one will be the wiser. Under the Bed Boxes: A great option for all the miscellaneous stuff you need to store. A Desk or Table to Place a Sewing Machine on: I use my mom’s childhood desk, which also doubles as a nightstand. 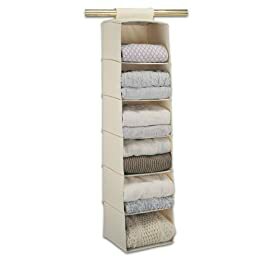 Fabric Storage: You could use a couple drawers of a dresser, or use hanging shelf organizers in the closet (like I did). Office supplies like paper, toner, etc. could also be stored in a dresser drawer. Misc Sewing Accessories: Try using plastic bins that can be stored and easily reached in the closet or an over the (closet) door organizer. This could also work for craft supplies or office supplies. Remember to join in on the big organization party on Monday. I’ll show you the full multi-purpose guest room reveal then, and I can’t wait to see your organization projects/tips. Oh! And I’ll do a post next Wednesday showing some of the highlights from the party. Yippee…a party! I actually wrote about this Valentine’s wreath last year, but I thought I’d bring her back for an encore performance. I found this wreath at Hobby Lobby, which was really pretty perfect on its own. I loved the simple, natural look of it. And then I stumbled across these beauties and I just had to buy them. Don’t they look delicious? After putting it all together with my glue gun, I hung her on my door with the same upholstery webbing I used to hang my Christmas Wreath. Ahhh, so pretty. Remember, you have until 9pm (Central Time) tonight to enter the Lisa Leonard Giveaway. Good luck! Oh hi (I say sheepishly). I’ve been trying to avoid writing this post. Oh yes, you can bet your bottom dollar I’ve been trying to think of ways to weasel my way out of admitting that, while I’m hosting a linky party next Monday on organization (please say you be there), I’ve been carpeing that diem a little too much and have really kind of failed miserably at organizing my guest room as well as I should have by now. True, of all the things to beat yourself up about in life this is not one of them…but still. I HATE saying I’m going to do something and then not do it. Definitely one of my big pet peeves. I have shown you here and here and here how to get rid of stuff, but I haven’t exactly shown you where to go from there. So I’ll make a little effort to do that today. See this lovely thrift store file cabinet in the back of my car? I got it for a steal. I love the functionality of a real file cabinet and you can find them easily at thrift stores or on Craigslist. There are really fun, decorative file folders out there in patterns I love. I’ve seen some really cute ones at Target. I’m the cost conscious manila folder kind of gal, though. You can get a package of a zillion at your local office supply store really inexpensively…and really, it’s a file folder not a decorative pillow, right? You can get 100 8-1/2 x 11 manila file folders at Office Depot for $6.29. That’s what I’m talkin’ about. And as far as putting files in a filing cabinet? Well, I like to go with alphabetical order…but that’s just me. You could also get fancy color coded files for different categories like home, car, taxes, and different family members. I’m also a tad lazy about making my own labels, and instead just hand write the file name on the folder. 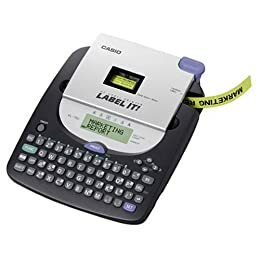 I hear these fancy schmancy (and relatively inexpensive) label makers will change your life though. I do secretly want one. If you don’t have room for a “real” file cabinet, I loved this idea from Centsational Girl. She purchased file boxes from Target ($5 each) and devoted each box to a specific category. The bonus of this idea is that you can easily see what’s inside each box…and if you do buy those pretty file folders you can admire them from time to time :). I cross-my-heart, hope-to-die, stick-a-needle-in-my-eye promise that I will reveal my fully organized guest bedroom next Monday, for the organization party. And for the record, you’re welcome to link up any organization project. I just think it would be a great way to share organization insights with one another. Tune in tomorrow for an awesome GIVEAWAY! Do you have a hard time getting rid of stuff with “sentimental value” around your house? I’ve gotten much better at it, but it used to be really hard for me. I used to be “that girl” who would hang on to the t-shirt my son wore that one time he at an ice cream cone on our vacation to San Diego, because…you know…he wore it while he was eating an ice cream cone and he was really cute. Did I constantly pull out the t-shirt and admire it lovingly? No. Did I have it framed above my bed? No. It sat in a pile of stuff. Let’s be honest - if something’s really important to you it’s not going to be stuck in a pile of stuff. It’s going to be cared for and either displayed or stored properly. And if it’s not that important to you, why not let it go and allow someone else to enjoy it? I believe in sentimental value. I hate it when people toss out treasures that belonged to their Grandmother. But at the same time everything can’t have sentimental value. The trick is learning to differentiate the important stuff from the not so important stuff. Can you see the difference? Both lists contain items with sentimental value, but the value of the items in the first list is much higher than the value of the items in the second list. And the value of having less clutter around the house and letting someone else enjoy your unneeded items is priceless. P.S. Don’t forget the Organization for LUFF’s (lazy uninspired frugal folks) Party on Monday, February 1st! If you’re one of that rare breed that was just introduced to the internet, and even more recently introduced to the world of home decor blogs, this post is for you. You will be stunned and amazed as I turn my shiny brass fireplace surround into something entirely new…and from this century. Here’s what my fireplace surround looked like until yesterday. I know the glare from the brass is burning holes in your eye sockets…sorry about that. But with the help of some magic heat resistant paint, I was able to transform old glarey into something much easier on the eyes. I simply taped off the areas to be painted and used an inexpensive brush to apply the paint. This paint also comes in spray paint form, but I didn’t want to bother with removing the entire fireplace surround…and it’s a little to cold and wet outside to use spray paint at the moment (anyone else ready for spring?). And the finished product? Ahhh, much better. So there you have it. Happy painting! I then did a mental double take. “What?! What do you mean I can’t use those dishes. I love them and their mine. If I don’t use them now when will I use them?” I then strode into the dining room, pulled out the shiny red plate and threw my bagel (sesame with swiss cheese) on it with determination and a satisfaction. The moral of this story? We only live once. Why set silly rules and limitation on what we can and can’t do? What little opportunity for happiness are you not “carpe-ing” this diem? If you care about paint at all you might be interested to hear what I discovered this morning. I was chatting with the paint lady at Home Depot (don’t ask why I was there [again] at 8 am on my way to work…you don’t want to know) and she told me why they’re clearing out their Ralph Lauren Paint. They are DISCONTINUING it! And not only that, but they’re replacing it with MARTHA STEWART’s line of paint. I swear…that girl has been everywhere: Sherwin Williams, Sears, Lowe’s. She’s hard to keep up with. Sooo, if there are some Ralph Lauren paint colors that you really love, now’s the time to either have that paint mixed or grab a bunch of those little color cards to have color matched in the future. and a pretty floor (that I can actually see). I’ll report back Monday with my progress and some more organizing ideas for you. Also, I thought I’d give you a heads up that Home Depot has all of it’s paint on sale this weekend. I went in this morning just thinking about buying some paint for a room that’s been bugging me (details to come soon) and I discovered that some of the Ralph Lauren paint was on clearance for $14! Plus I’ll get a $5 rebate! If my math is correct, that’s an entire gallon of good quality paint for $9!!! That’s what I’m talking about people. I’d say it’s worth checking out (click on photo for details).